You won’t be fighting poor service with our roofing in Battle Ground! For many roofing companies, especially the larger, corporate environments, simply getting someone to get to your property can feel like a battle. And once you make an appointment, a lot of them will give you a vague window which can span an entire business day—and sometimes they still don’t make it in that time frame! 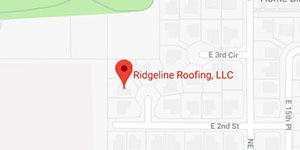 At Ridgeline Roofing, we do things differently. When we schedule a time to meet to work on your roofing in Battle Ground, we commit to it. But you won’t have to commit to any work that you aren’t ready to do yet with our no-obligation estimates! When you choose us, you’re choosing an honest roofing company that is transparent in their business practices. It’s one of the reasons customers love us! Our goal is to provide roof work that lasts, not to gouge you out of every cent we can. After the free estimate, we’ll give you a few options for how to remedy the situation and let you choose which one works best for your budget and timeframe. Timely, prompt service. We treat your time as a resource and one that should be preserved. That’s why we do whatever we can to get you on time when we say we’ll be there and do our work quickly and efficiently. Top-quality roofing materials. 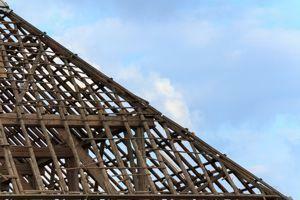 Using poorly-made roofing materials often means you’ll have to get the same job again shortly. That isn’t the case with higher-end products such as Malarkey brand materials. Knowledgeable, experienced workers. 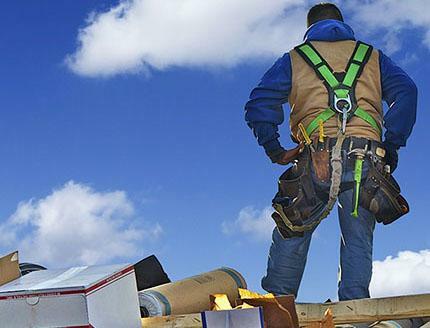 Whether you have a flat roof or a difficult nearly vertical roof, our roofing contractors have the right equipment and experience to work on your property. Find out for yourself how we earned a 2016 Super Service Award from Angie’s List!